Why You Should Pick Birds Over Four-Legged Friends | ESA Co. When tasked with picking an Emotional Support Animal, often times people will pick a dog or a cat. What is the reasoning behind this? Maybe because they are familiar territory when people think about the type of pets they have around the house. I’m not going to discount how useful dogs and cats are as emotional support animals, but I do want to suggest that birds are vastly superior to the two. So if you are interested in getting an emotional support animal, but do not know yet what pet you would like to fulfill the role, let me convince you about the beauty of having a bird. Having a dog around means that you will be inclined to take it on a walk every now and then in order for it to use the bathroom. This happens multiples times a day, sometimes in the most inconvenient times such as the middle of the night or during a rain storm. When you have a cat, you have to get down and dirty in the litter box in order to make sure your living space remains clean and smell free. When you have a bird as an ESA, you will not have to worry about these inconveniences because birds can just use their cages as their bathroom space. Yes, you will have to clean the cage occasionally, but cleaning cages are a lot more convenient that digging through litter boxes or following your dog with a plastic bag. Birds are very intelligent animals. So far, in scientific research, birds are the only animals that are able to produce human speech through mimicking and repetition. 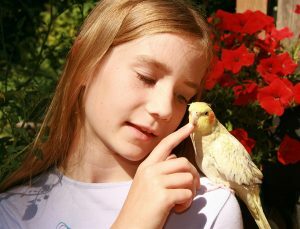 This is a perfect reason for you to get a bird as an emotional support animal since the speech of the bird will never make you feel lonely. The bird will always be there to talk to and respond with the words you teach. Cats and dogs communicate with owners in a certain way, but nothing can beat the connection that occurs when word is spoken. With emotional support animals, you can opt to get a letter from a therapist that will help you bypass housing restrictions for pets due to the Fair Housing Act. 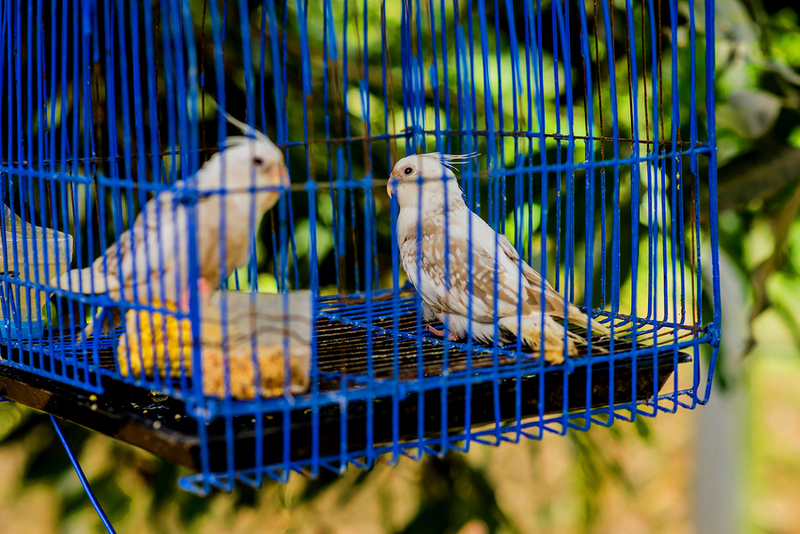 Often times, if you have a bird and are able to contain it in a cage, then you will should have no problem finding housing, since a lot of renters do not view birds in the same light as dogs or cats. This is because birds are less likely to cause damage to the living area or property. So if you happen to grab a bird, you might not have to go through the headache of getting more documents. Some breeds of dogs grow to be enormous. Cats very much like to roam and search for things which pique their interests. Birds on the other hand do not need tons of space. Since birds take up less space than many other pets, it is easier to find a suitable place to live since they do not require much space. Also, since a bird can reside in the cage, you can feed the bird in the cage and well as have it use the bathroom, as previously stated. This allows for quick and easy service and clean up without having to get a mess around your house. Owners of dogs and cats are constantly being told to have their animal spayed and neutered in order to curb overpopulation of the animals. With birds, you do not have to worry about that since the only prevention you would need to do is not let their eggs hatch. By doing this, you will avoid a nest and cage full of baby birds. These are some of the reasons why owning a bird is better than owning a cat or a dog. If you are in the market for an ESA, try looking at birds as your choice and see if you qualify for a certified therapy letter today.